Diving with eagle rays in Comino! We had a lovely surprise yesterday when diving in Comino. I was with Arturo and Chiara, and we decided to get out of the boat before the rest of the group who were still discussing the dive plan. It was unusual for a Saturday morning to have the whole wreck for us but it was great. We made our usual descent in the clear, blue water of Comino and started exploring the wreck undisturbed when suddenly I saw something moving on the sand, and there she was: a stunning Eagle ray swimming in front of us. I can’t tell who had the biggest smile at this point of the dive as we are not used to see such beauty on a normal diving day. 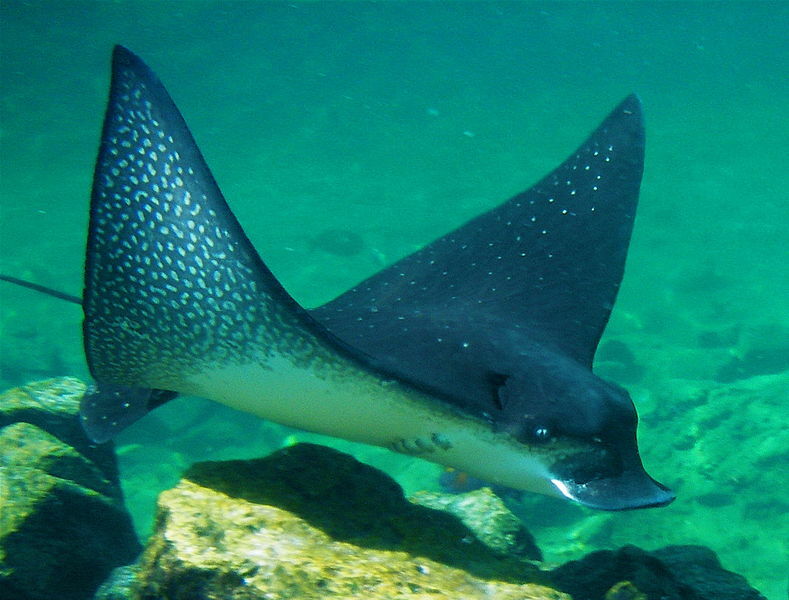 The eagle rays are a group of cartilaginous fish that are part of the family of Myliobatidae. The most common eagle ray of our area is frequently encountered by divers, especially in the Mediterranean Sea. Eagle rays live close to the coast in depths of 1 to 30 m and in exceptional cases they are found as deep as 200 m. The eagle ray is most commonly seen cruising along sandy beaches in very shallow waters. They are considered potentially dangerous to humans due to the venomous tail spines that can inflict serious wounds. Eagle rays feed on Mollusks and crustaceans, crushing their shells with their flattened teeth. Previous Previous post: Fancy Trying Something New?